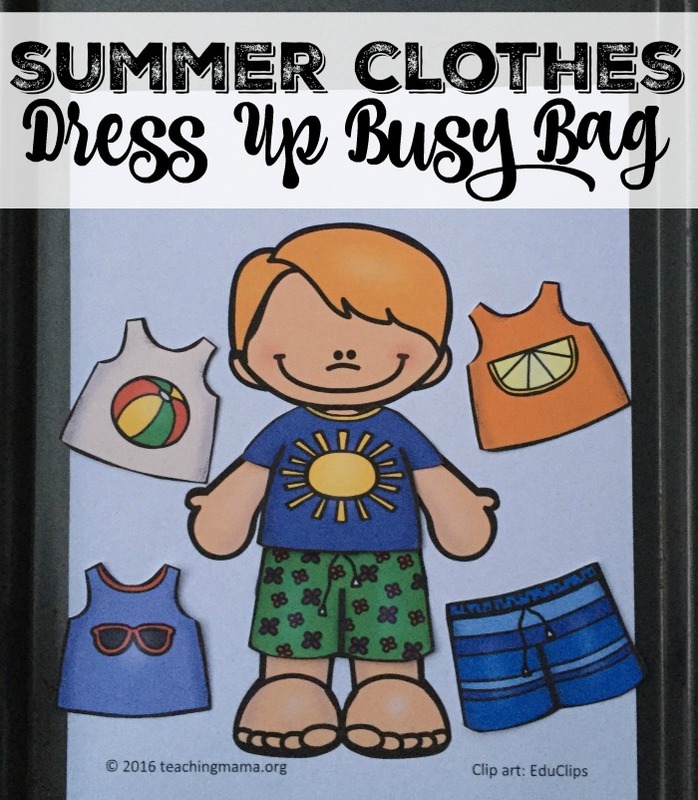 Summer is in full swing and it’s time for me to share our Summer Clothes Dress Up Busy Bag! 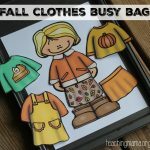 I love that so many of you are using these dress up busy bags. I think the clip art from Educlips is adorable! 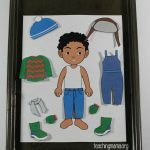 Purchase the summer clothes clip art and doll clip art. 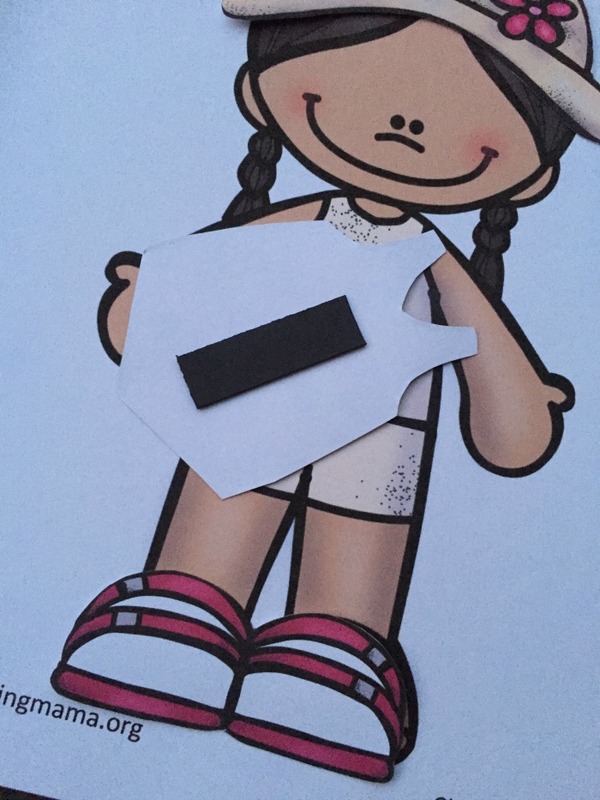 Resize the pictures to fit the dolls in a program such as PowerPoint or Microsoft Word. 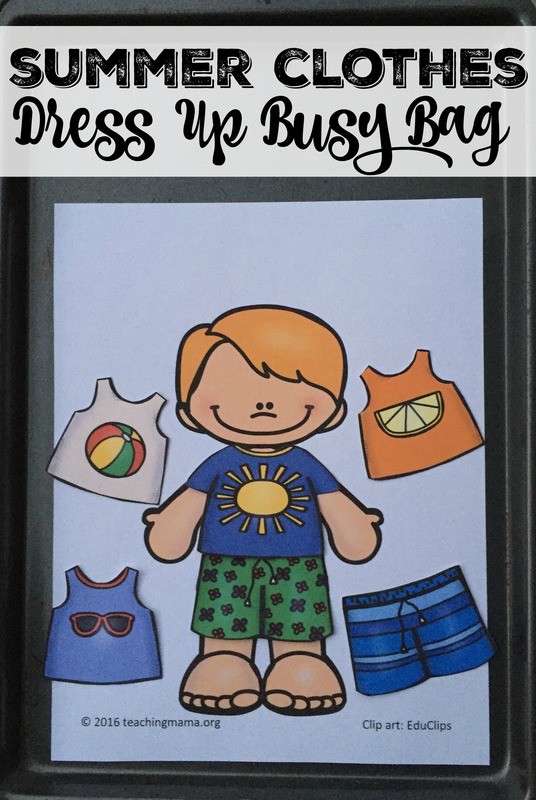 Print the summer clothes printable onto card stock paper. Laminate the sheets to make them more sturdy. While playing dress up, talk about the names of the clothing items and when you would wear them. Once again, you can get the clip art from Educlips. I am so in love with your site and amazing ideas! I get so excited to see your email in my inbox:) Thank you SO much for sharing your creativity and ideas with us! My kids (and I) are loving the activities! I could not agree more! I absolutely love the things you do! Thank you for sharing your wonderful ideas!! What type of magnet/glue do you recommend with laminated surface? I use magnetic strips (Walmart craft section). They have a sticky back, but if I want to make sure they don’t fall off, I use a hot glue gun. Hope that helps! Yes I will! Not ready to share them yet, but I will once school starts. I love this! My daughter loves playing dress up but it usually includes HER changing clothes a million times during the day. Talk about a laundry pile!!! I have always struggled to find a dress up activity for her that is durable enough but still easy for her to play with, and I LOVE this idea. Thank you so much for sharing! These are adorable! Thanks for sharing! Is there a fall version of these as well? I printed these on photo mat paper that I had left over from another project and the colors are amazing. I am going to save the rest of my paper for when you come out with the fall clothes (I hope we will see those soon). Also just to put and idea out there are cute Halloween costume for the fall would be so cute. thanks for the great work out do these are super fun. That’s awesome! Yes, the fall ones will be out tomorrow (8/29)!! A Halloween one would be so cute. I’ll try to do that! Will there be a Halloween version available any time soon? We are loving these! 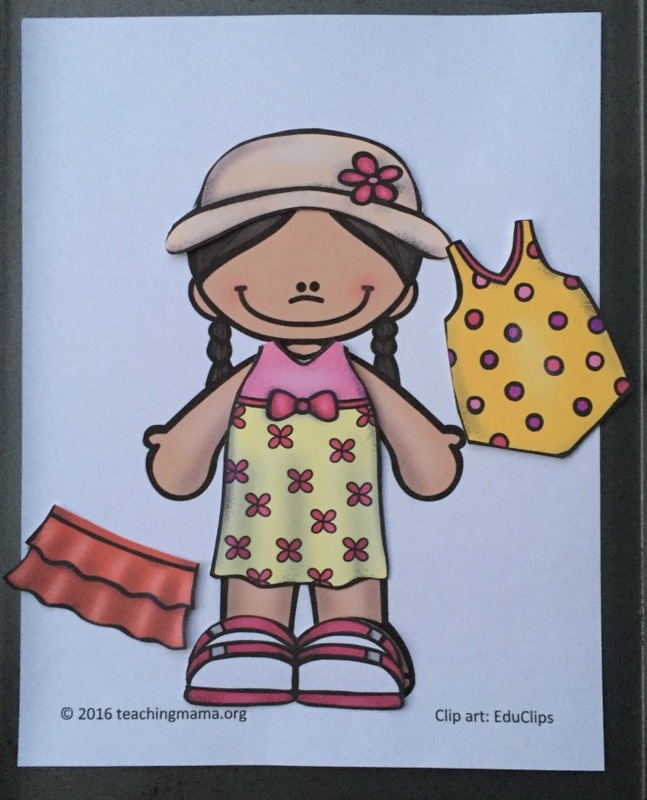 This is a great exercise of the imagination for children as they learn to express themselves through clothing. 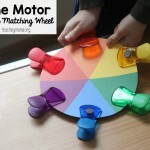 Altogether, this is a very creative activity. These are adorable! I can’t seem to find a link to download the children. This is the best site I’ve seen! Seriously thank you for all this awesomeness! you have no idea how much hope you gave me !! These are adorable! I also love this sight. I was wondering if you have the dolls that are pictured in the summer set? The dolls in the file are the same as the others, not what is pictured. Hello! Yes you are right. I’m sorry about this! I changed this to have more options for the dolls and it changed the size of the clothing, which is why they aren’t included in this set. Let me send you an email with the file so you can have it! I noticed this too and glad someone commented already. 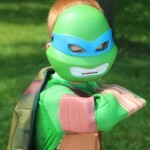 My son is a little blond guy so it would be so cute and fun to be able to have a printed doll that looks like him. Any possibility I could get the file as well? The clothing and kids from EduClips are beyond cute! Thank you so much for sharing these busy bags for FREE!!!! Yes! I just added it to this post. 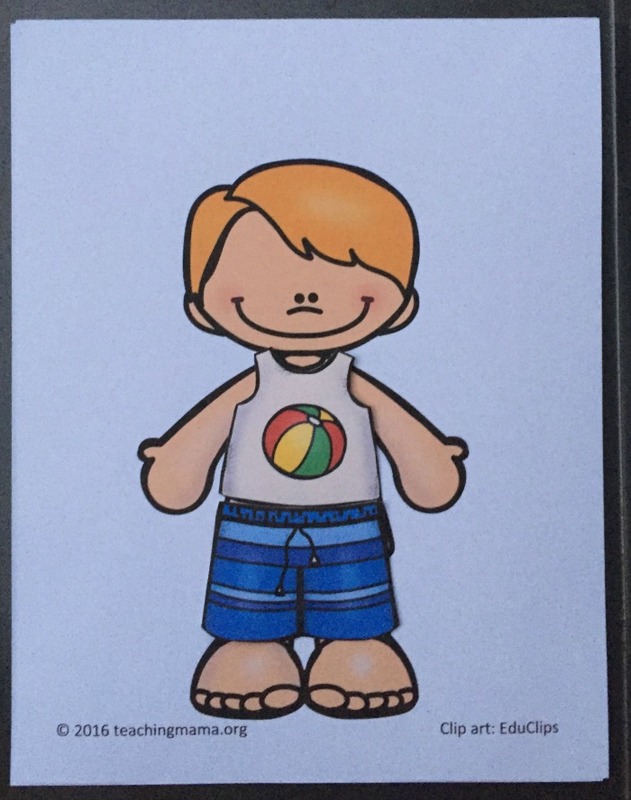 Since the blond boy’s arms are different from the other dolls, the clothes might fit slightly differently. Hi Angela, Really the clip art from Educlips is adorable ! This is an awesome idea! I Love loose shape busy bag which is displaying in the last picture of your post 🙂 . Loose shape busy bag is great for exciting a preschoolers imagination. These designs are amazing, i have seen such type of summer clothes for children’s. Nowadays, kids love these type of printable clothes. I also want to know is there Halloween dress or Christmas dress are coming.